I just read a SEMI blog post describing the expansion of vacuum subsystems in the semiconductor industry. To me, this makes sense. As features continue to shrink and devices become more complex, the technology needed to control the process conditions becomes more and more important. Vacuum subsystems for semiconductor equipment can be a complex system comprising of roughing pumps, high vacuum pumps, plumbing, chambers, valves and metrology. When I started in this business, wafers were silicon wafers four inches in diameter were the norm and six inch wafers were pretty whiz-bang. I watched as the semiconductor industry transitioned from 200mm to 300mm. As the wafers became bigger, the device features were shrinking in accordance with Moore’s Law. 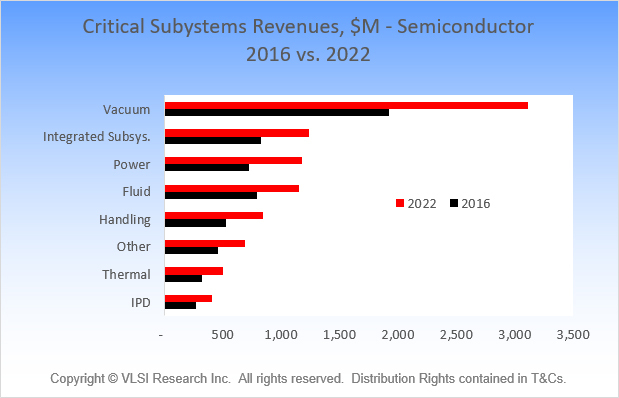 Source: Vacuum Subsystems: Largest and Fastest Growing Market by By Hanning Shi and John West, VLSI Research. The economy of scale at 300mm seems to satisfy the needs of chip makers for the time being. Recently the industry dabbled into increasing the wafer size to 450mm, but the complexity of keeping wafers flat, in one piece and keeping the uniformity across the wafer didn’t seem worth the risk. The complexity of keeping the flow uniform across a 450mm diameter wafer during a plasma process requires very sophisticated fluid flow engineering. The chip manufactures driving the 450mm requirements began pulling out and the OEMs dropped the 450mm projects. However, now the industry is changing the geometries of transistors from roughly two dimensions to three dimensions with much smaller features. These are driving new etch, deposition and ion implant processes. We are seeing new interconnect materials being driven by the need to make nano-scale wires. Since the features are becoming increasing smaller, 35nm, 20nm, 10nm…process conditions are much more stringent. Vacuum, gas delivery, fluid delivery, and wafer handling systems, just to name a few, are developing into much more sophisticated technologies as the requirements for higher purity and fewer particles push vacuum technology forward. What I see in the industry is a growing opportunity for engineers to work with vacuum systems. That is why I am passionate about promoting the technology. The chart above shows it very clearly. Vacuum technology is becoming a bigger part of the spend and understanding that technology will become even more important as these projects develop in the future. 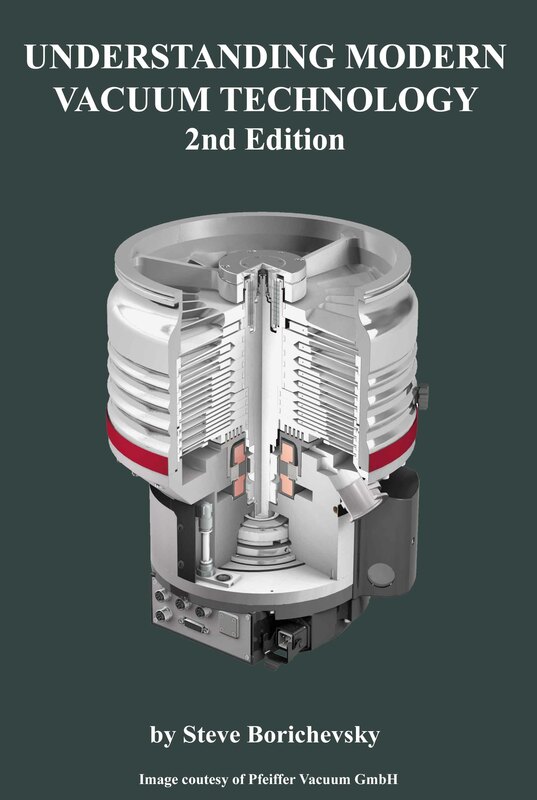 If you are new to vacuum technology or a seasoned engineering manager, you will find a wealth of information to give you a firm understanding of the art in Understanding Modern Vacuum Technology.